Leading Manufacturer of dx 5 eco solvent printing inks, starfire printing inks and seiko challenger solvent inks from Coimbatore. 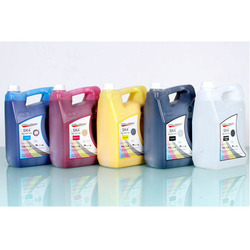 We are dedicatedly involved in offering a wide array of Epson Eco Solvent Printing Inks. The products offered by us are manufactured using optimum grade raw materials and latest technology at our vendor’s manufacturing unit. In addition to this, our printing inks are getting huge appreciation amongst our clients for its features. These inks are available in a variety of colors for our clients to choose from us at a marketable price. With our experienced vendor’s professional, we are engaged in offering a wide range of Starfire Printing Inks to our most valued clients. These inks are manufactured by vendors using high-grade materials and the latest technology used in this domain. The products offered by us are getting huge appreciation from our clients for its durability and great performance. Moreover, our offered range is checked against various parameters under the vigilance of our quality controllers to deliver a flawless range at the client's end. 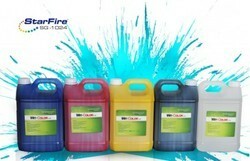 Apart from this, we avail offered inks at market leading price. 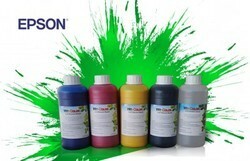 We are offering Seiko Challenger Solvent Inks to our clients. Looking for Printing Inks ?